Introduction to Programming with Greenfoot: Object-Oriented Programming in Java with games and Simulations is ideal for introductory courses in Java Programming or Introduction to Computer Science. 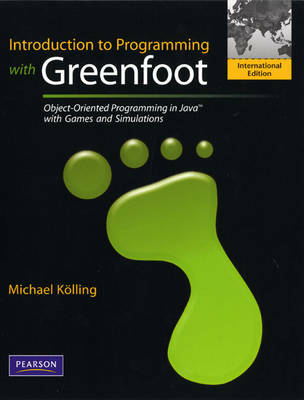 The only textbook to teach Java programming using Greenfoot-this is "Serious Fun." Programming doesn't have to be dry and boring. This book teaches Java programming in an interactive and engaging way that is technically relevant, pedagogically sound, and highly motivational for students. Using the Greenfoot environment, and an extensive collection of compelling example projects, students are given a unique, graphical framework in which to learn programming.